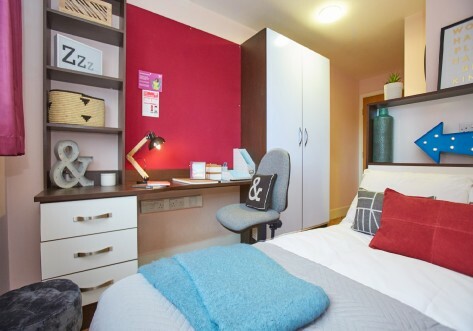 Our student accommodation Glasgow is conveniently located close to the city’s universities and colleges and is supported by excellent public transport links. Base Glasgow is surrounded by theatres, cinemas and concert halls as well as being close to sports venues and fantastic nightlife and restaurants. The Classic Studio comes with a 3/4 bed, dining area, ample storage, mirror, study desk and chair and modern kitchenette with fridge-freezer, microwave oven and hob. This studio also has a fully fitted en-suite containing a large shower and stylish fittings. 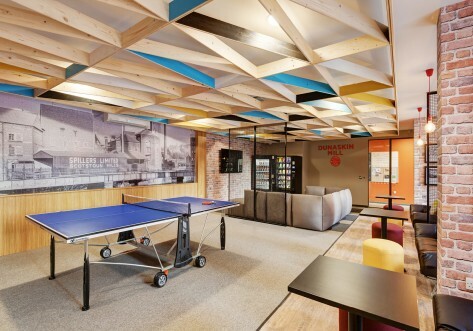 You'll also enjoy access to the gym, study room, cinema and games room. The Classic Ensuite comes with a 3/4 bed, ensuite bathroom, ample storage, mirror, study desk and chair. The shared area includes a spacious lounge and kitchen area. You'll also enjoy access to the gym, study room, cinema and games room. 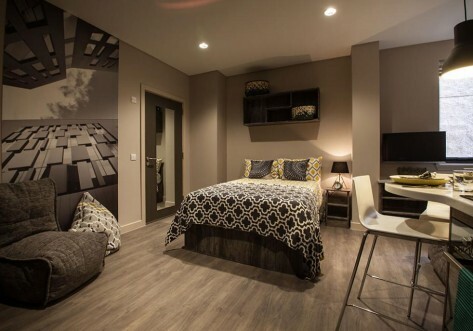 The Premium Studio comes with a 3/4 bed, dining area, ample storage, mirror, study desk and chair and modern kitchenette with fridge-freezer, microwave oven and hob. This studio also has a fully fitted en-suite containing a large shower and stylish fittings. You'll also enjoy access to the gym, study room, cinema and games room. 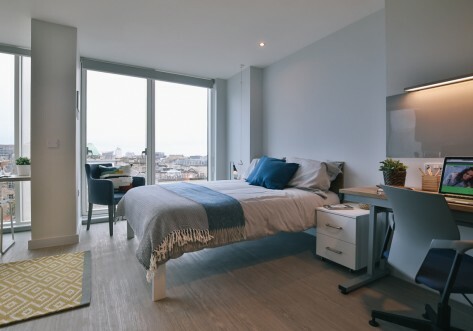 The Classic Accessible Studio comes with a 3/4 bed, dining area, ample storage, mirror, study desk and chair and modern kitchenette with fridge-freezer, microwave oven and hob. This studio also has a fully fitted en-suite containing a large shower and stylish fittings. You'll also enjoy access to the gym, study room, cinema and games room.